Perfect service fast delivery, great product at a good price. Communication was very good, my father ordered the wrong battery’s no problem exchanging them for the right ones, over all very happy will buy again when needed. Thank you Rex. Quality product and service. Installed and working perfectly. All arrived on time, product good, information and communication perfect. only used my boat a couple of times since fitting this and it performed faultlessly. 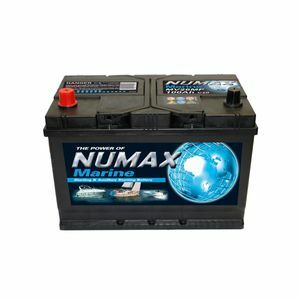 The batteries were as stated on the web site, delivered in the agreed time scale and well packed. Would be happy to use this supplier again. Fantastic service and an excellent product at a very fair price. Will definitely use this company again in future. Tayna are second to none. Fast delivery, well packaged, excellent item. A pleasure to do business with. Highly recommended. Fast and efficient service. Battery fitted but as yet unused so cannot comment further. Efficient service. Received the battery within 2days. Very well packed.